I first approached this red roadster that had made an appearance at Otaku Thursday before. 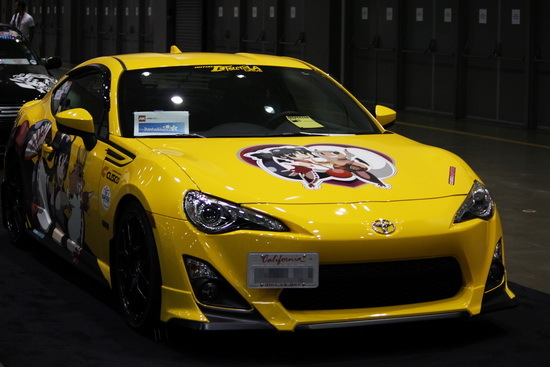 This time around, the Mazda MX-5 Miata’s wrapping job was complete. 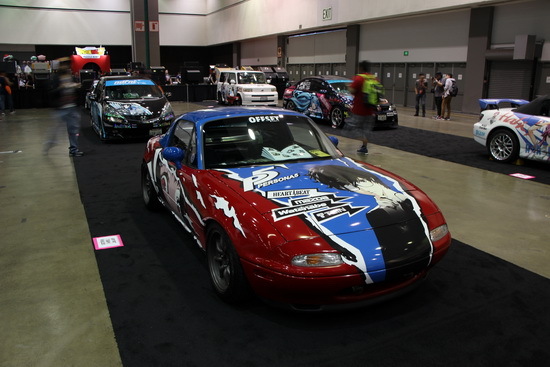 At first the Miata only featured the playable main character of Persona 5 on its hood, which already looked pretty legit. Upon a second visit however, the entire roadster was wrapped and had a blue hardtop. 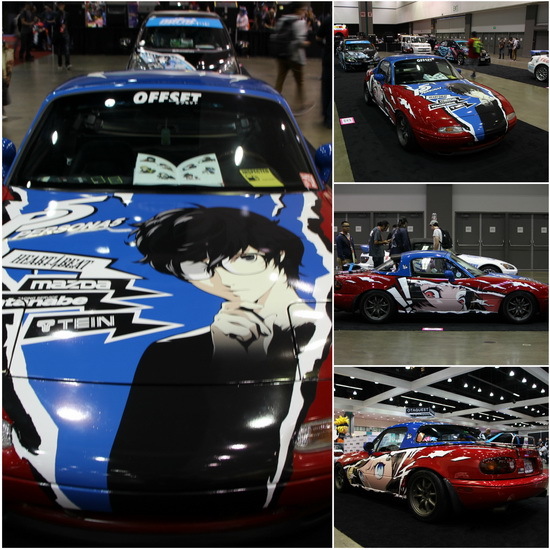 The left side featured Ann Takamaki while the right side brandished Makoto Niijima to finish the Persona 5 wrap. 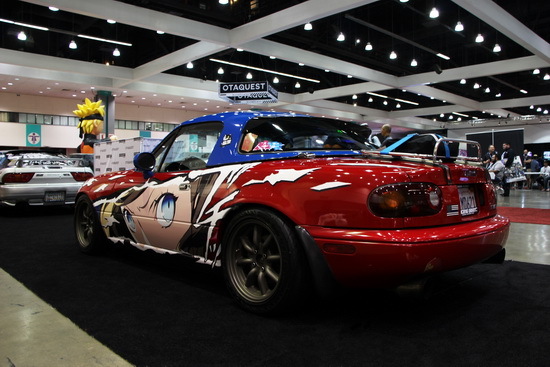 The owner of the Miata was there to not only show off his car but also represent his personal brand, heartbeat.la to promote his slaps and apparel. 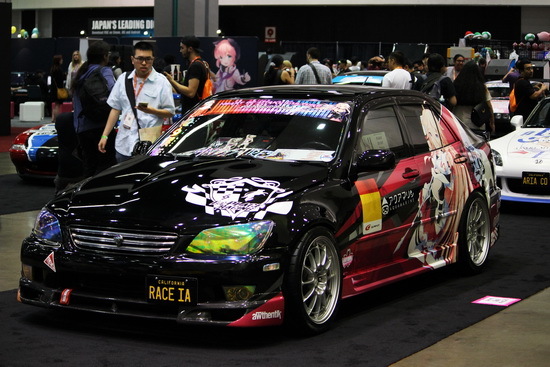 Another car that met my eyes a second time was the Lexus IS 300 or Toyota Altezza, depending on where you’re from, sporting some love for IA, the vocaloid. 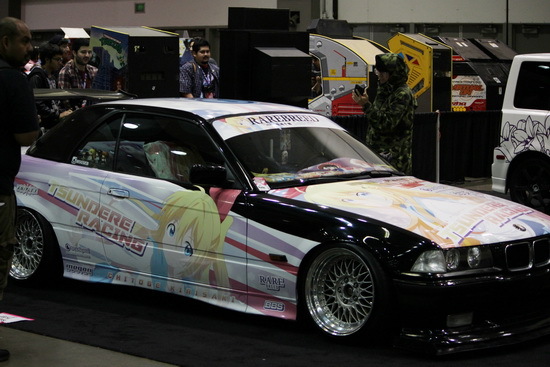 This car remained untouched from Otaku Thursday which I thought was nice because it appeared to be one of the most complete looking itasha on the show floor. There were a few details that I didn’t catch the first time because it was dark. 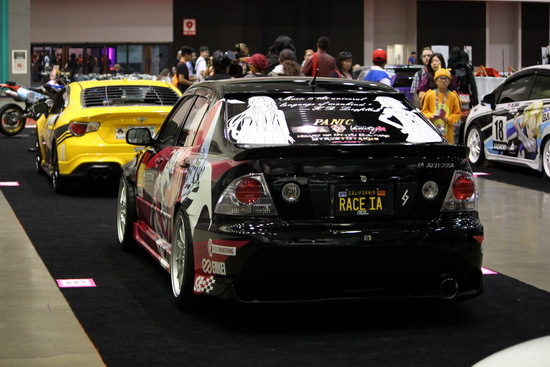 The headlights had neochrome wrap applied over the lens, which served to offset the black paint job as well as contrast from the wrap’s color scheme. 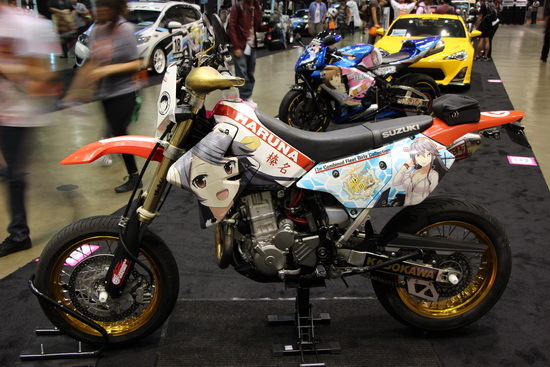 There were a few other vehicles that caught my eye for a few seconds, such as the stanced BMW showing some love for Chitoge Kirisaki from Nisekoi, the mildly wrapped and bright yellow Toyota 86, and even a wrapped motorcycle which admittedly caught me off-guard. 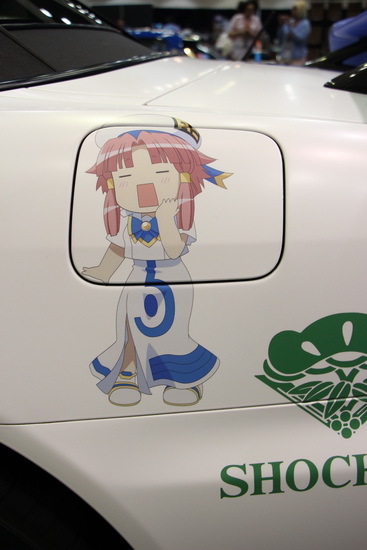 Stay tuned for part 2 of my itasha anime car adventure! 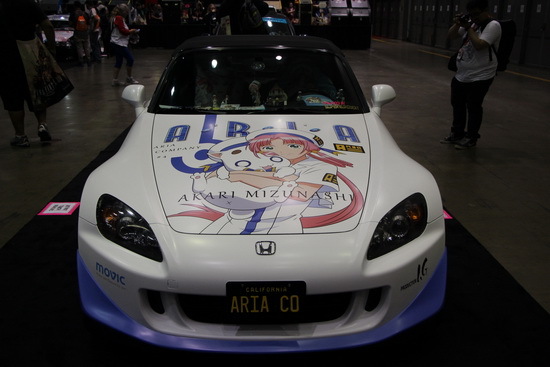 This entry was posted in - LED & HID Updates, BMW, Honda, Lexus, Mazda, Toyota and tagged 86, Altezza, ann, aria, BMW, chitoge, fog light bezel, haruna, Headlights, Honda, iA, IS300, kancolle, kantai collection, Lexus, makoto, mazda, miata, Motorcycle, MX-5, nisekoi, persona 5, S2000, S2K, suzuki, Toyota, vocaloid by Jason T. Bookmark the permalink.